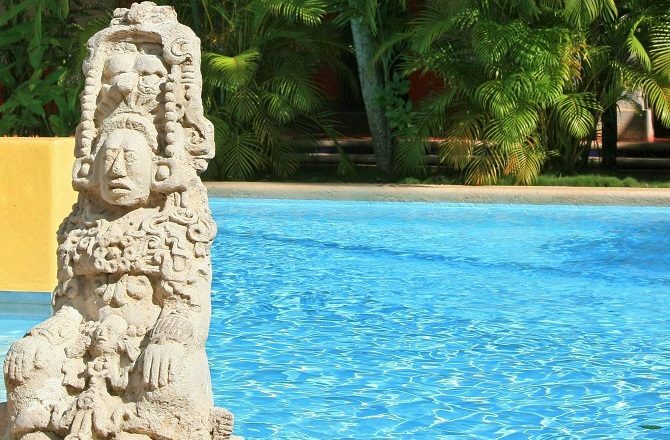 It’s the single biggest draw in the Yucatan Peninsula so deciding where to stay at Chichen Itza is a decision you’ll want to give some thought to. If you want to be within easy reach of the actual ruins then, for me, it’s an easy decision. The Hacienda Chichen Itza (picture above) is within walking distance of the entrance (in fact the property backs on to the site) and no other hotel comes close to matching it for history and character; after all, not only is the main part of the hotel housed in a beautiful old hacienda, but the guest bedrooms are the very same ones used by the archaeologists who first excavated the site. Add to that the hotel’s beautiful gardens and swimming pool (it gets real hot in the summer) and it’s really something of a slam-dunk. 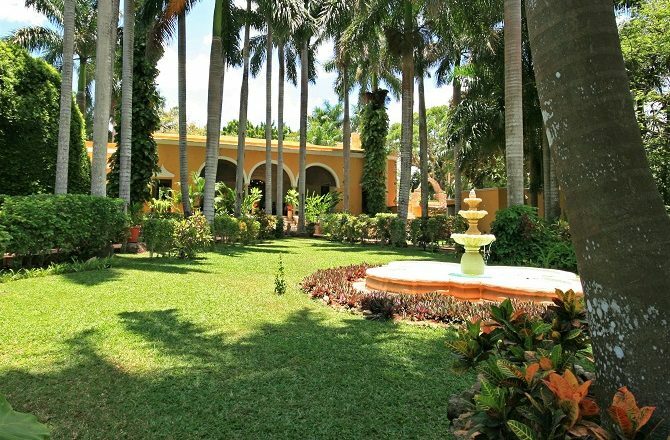 What if you’ve left it too late and the Hacienda Chichen Itza is full? 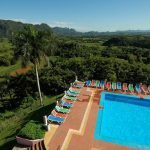 Well, the next best option is the nearby Hotel Mayaland (above) which, although it lacks the former’s history, does also boast lovely gardens, swimming pool and spacious rooms. 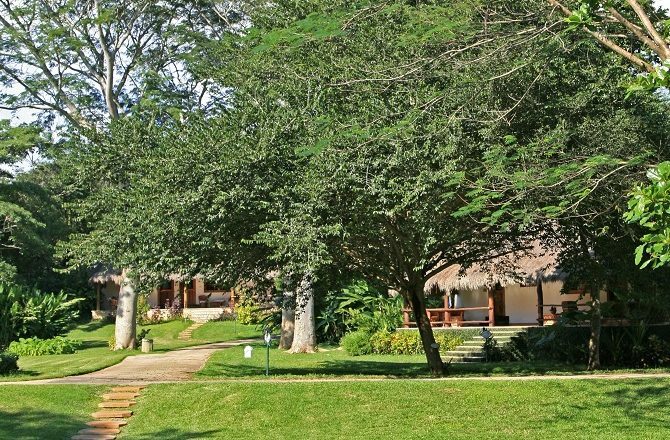 Of course, I should also point out that both the Hacienda Chichen Itza and Hotel Mayaland aren’t exactly cheap so, if you’re on a budget, it may be that neither hotel is an option. That being the case, my suggestion for more economic accommodation would be the Villas Arqueologicas. 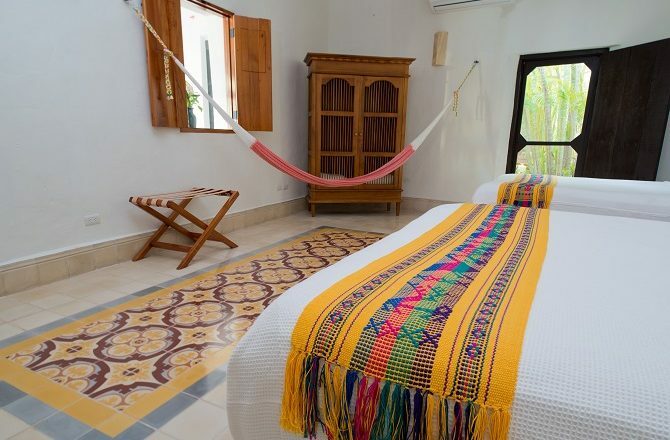 Harking back to the 1960s, the rooms may be tiny but the hotel has a nice swimming pool and the entrance to the ruins is just a short stroll away (there are identical versions of the hotel at both Uxmal & Coba). At the start of this article, the first assumption I made is that visitors would want to be within walking distance of the ruins. You may not. 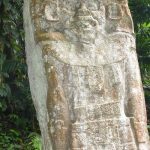 Although there are obvious benefits in being able to walk from one’s hotel to Chichen Itza, it’s worth noting there are no nearby facilities, bars, restaurants etc. For this reason, some visitors to Chichen Itza prefer to base themselves in nearby Valladolid. Located just 30 minutes’ drive from Chichen Itza, Valladolid is a charming, colonial-era town, very much a destination in its own right and an excellent base to visit not only Chichen Itza but a number of other, nearby sites of interest including some excellent cenotes; there are also numerous bars and restaurants. Accommodation in Valladolid is plentiful with my favourite options being the Hotel Posada San Juan, Zentik Boutique Hotel and, right on the main square, Hotel Meson del Marques.